2018 12th Annual Finalist -- thank you National Indie Excellence Awards for the recognition. 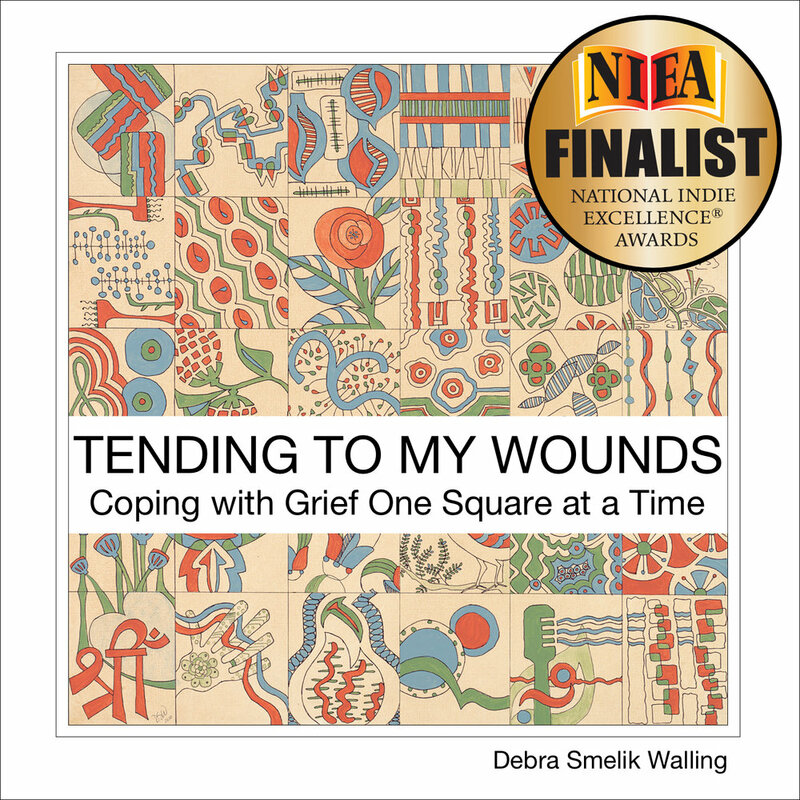 A companion to TENDING TO MY WOUNDS, Coping with Grief One Square at a Time. The workbook instructs and guides one through the art process used in the book, an example of how healing through art can be beneficial as one paves the path to self-discovery, self-healing. Bare Bone Sketching holds the collection of sketched faces using a very old stylus on a very old iPad. 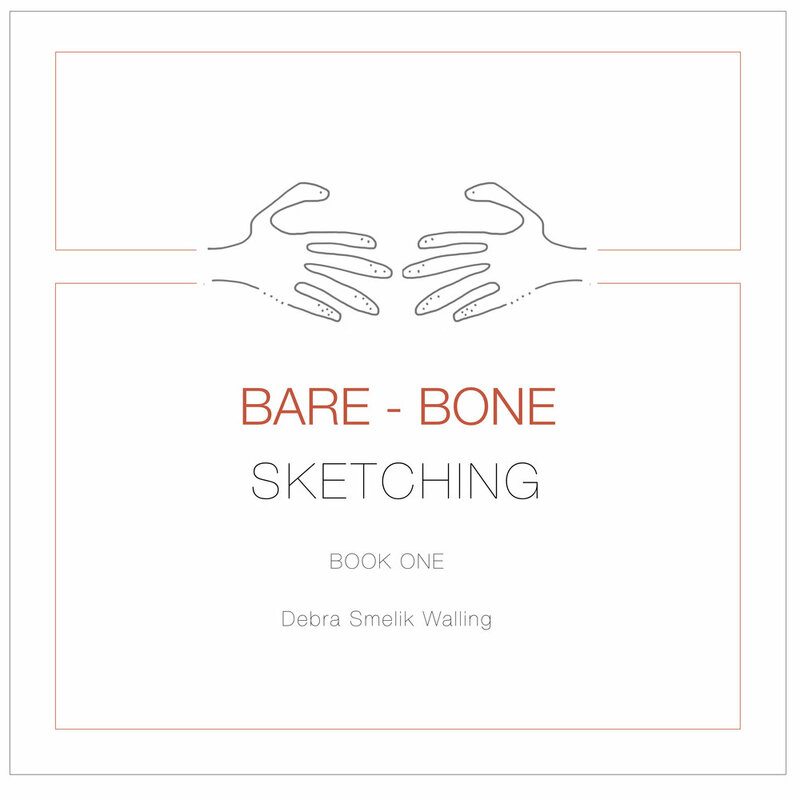 Other then biding time there is no rhyme nor reason, no connection to the sketched images, the city listed or bio; just a continuation of the many roads Debra travels as she creates, whether written or visual. Taking a simple observation with reflective thought to random events of her day Debra creates Haiku, a form of traditional Japanese poetry consisting of three lines; five syllables in the first line, seven in the second line and five syllables in the third. The world is big with lots of people creating and sharing. Not a professional in any particular subject though all that I am in touch with, allows me to meet and correspond with people that share the same or similar interests offering a peek into their life in thought or creativity. My life is touched in some way by those I meet and their insight - that is a blessing. the JOURNAL posts are arbitrarily and unmethodically selected. EAT ▪︎ DRINK ▪︎ CREATE ▪︎ BE MERRY shares a collection of recipes mingled among the written word, artful crafts or other areas that pique my interest or those that I have been asked to share.